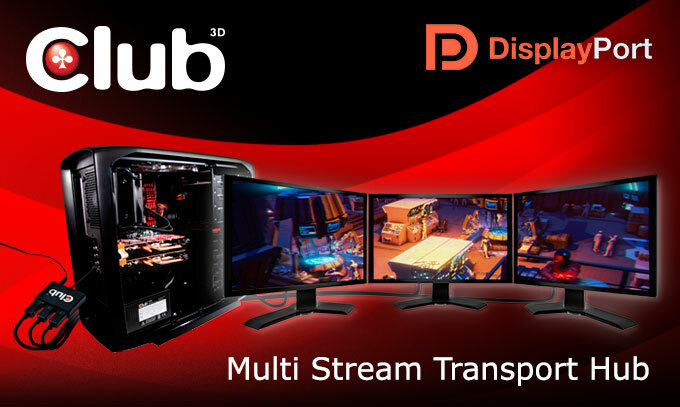 DisplayPort 1.2 added support for Multi-Stream Transport (MST), enabling multiple monitors to be used via a single DisplayPort connector. 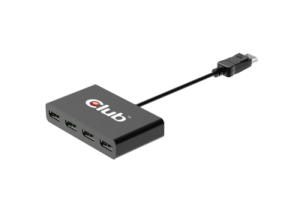 This function requires either monitors that are capable of DisplayPort 1.2 daisy chaining, or use of a DisplayPort MST Hub. 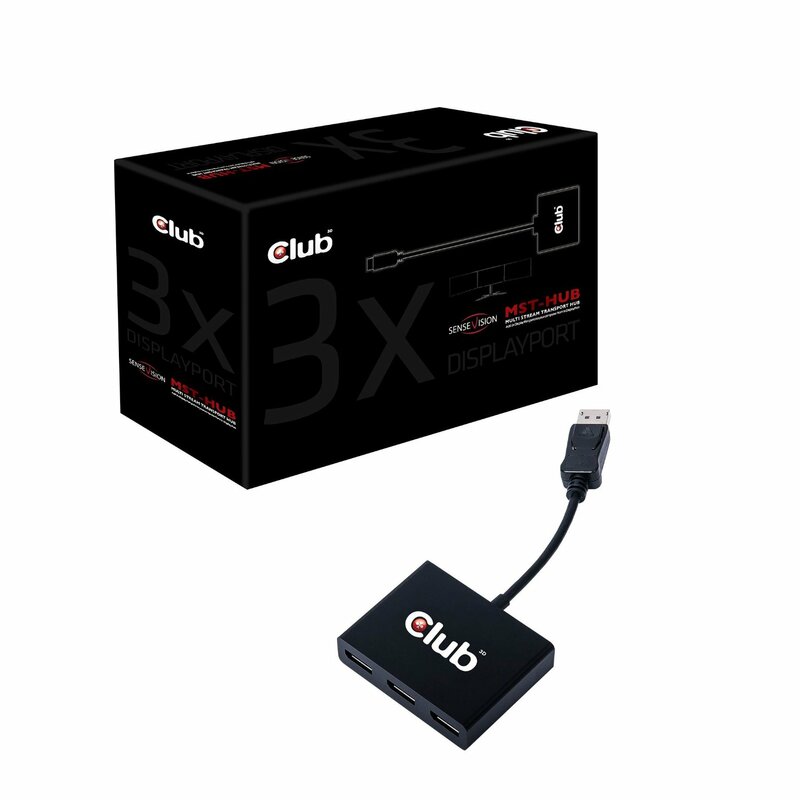 A MST hub will split the total bandwidth coming from a DisplayPort 1.2 output and allow you to connect up to 4 independent 1920 x 1080 monitors or two high resolution 2560 x 1600 monitors. Note: MST hub can also be called MST splitters, or DisplayPort splitters. 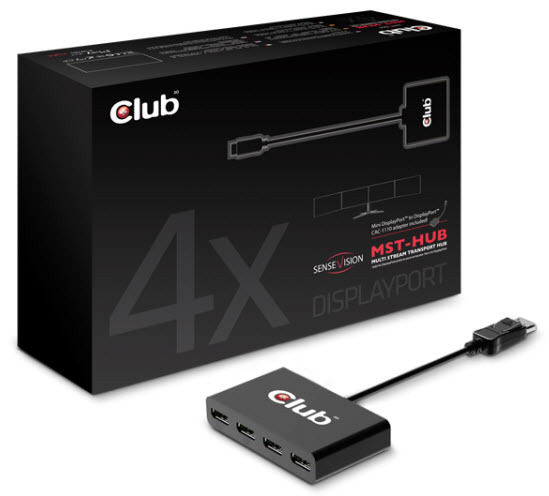 The great thing with MST hubs is that you can quickly connect to 3 external monitors (up to 1920 x 1080 or 1920 x 1200 for each monitor) with laptops running the latest Intel CPUs with HD Graphics & one DisplayPort 1.2 output. You can also connect up to 4 external monitors (up to 1920 x 1080 or 1920 x 1200 for each monitor) with laptop running the latest AMD APUs & one DisplayPort 1.2 output. 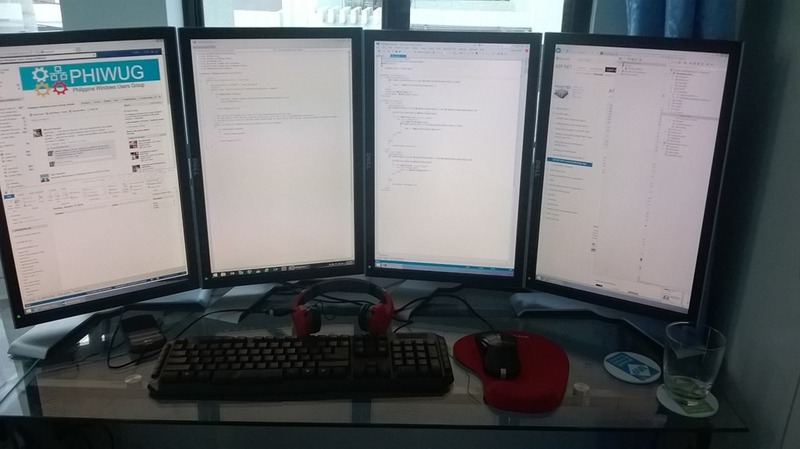 Note: You may also connect up to 3 monitors on a Microsoft Surface Pro 2 or Surface Pro 3 & above. 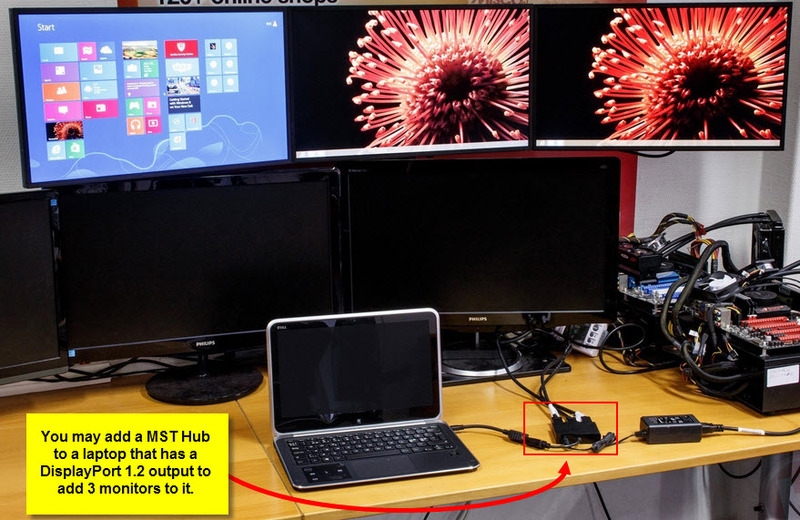 Simply connect the MST hub to the Surface Pro 2/3 and up to 3 monitors. 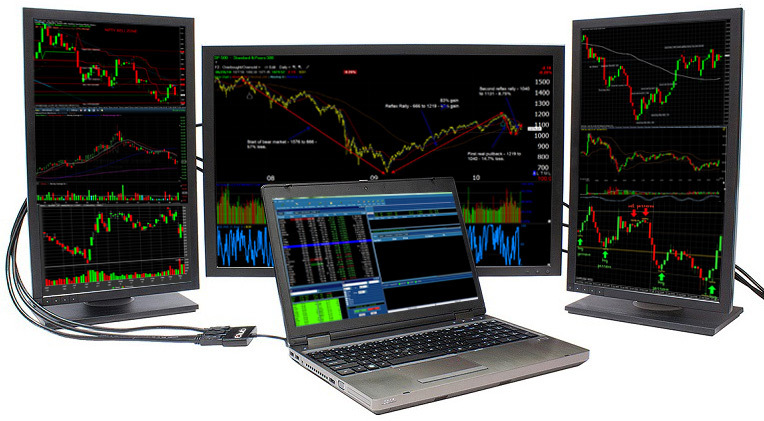 The 3 monitors will run at 1920 x 1080 but the tablet will disable the integrated display on the tablet. The tablet graphic card is powerful enough to run full 1080p videos.